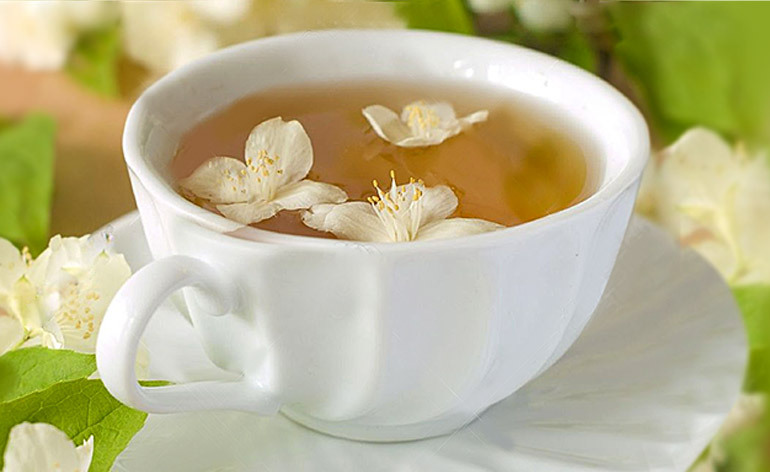 Home » Diet » Top 5 Health Benefits of Jasmine Tea! Grown in China and produced for over 700 years, jasmine tea is one of the more popular herbal teas on the market. 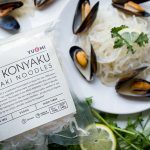 Since being introduced to the Western world in the 1800’s, it quickly became popular due to its mild, sweet flavour and positive characteristics. Read on to learn about the Top 5 Health Benefits of Jasmine Tea! Jasmine tea has been proven to improve blood circulation around the body by reducing the amount of fat the body absorbs, reducing the risk of heart disease and circulatory problems. Consuming it can help balance out the high density lipoprotein (HDL or “good”) cholesterol ratio in the body. Because jasmine tea has a delicate aroma similar to camomile tea, it produces a calming effect on the mind. Having a cup during a stressful period can help reduce feelings of anxiety and tension. It can also reduce symptoms of muscle aches and headaches. During the winter months, (although not exclusively) we are generally more prone to experiencing colds and the flu. Jasmine tea has been proven to be rich in antiviral and antibacterial properties that help prevent colds and flu. It also helps the development of good bacteria in the body that aids in digestion and immunity. It has been suggested that the consumption of jasmine tea can help maintain glucose levels in the body for those who are Type 2 diabetic. The drink is thought to inhibit the action of the enzyme amylase (which digests the carbohydrates we eat) thereby slowing down the metabolism of sugar in the digestive system. Jasmine tea has been noted to help in weight loss. The reason for this is because it contains antioxidants that increase metabolism. When the body’s metabolism is working properly, the digestion of foods improves and the storage of fats decrease. Jasmine tea can be found in teabag form and loose form in local shops and at farmer’s markets. When you are out and about or socializing with friends, why not substitute your normal cup of standard ‘English tea’ for a cup of Jasmine, we think you’ll be pleasantly surprised! Have an experience with jasmine tea? Why not tell us @KeepfitKingdom ! 5 Top Benefits of Minimalist Running!